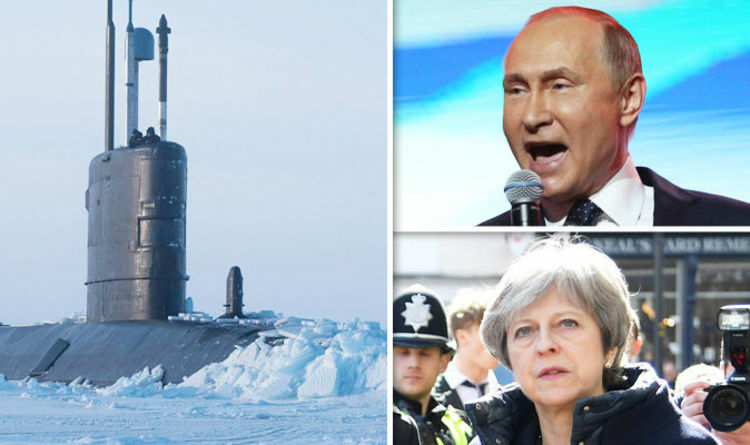 The nuclear powered HMS Trenchant burst through two feet of ice as it aimed to showcase the power of Britain’s military arsenal - a Royal Navy source declared the Russian’s have a known affection for the area. The operation is being conducted alongside two American subs, the USS Connecticut and USS Hartford, that appears to display a new era of drills that date back to the Cold War. The captain of the HMS Trenchant stated that the exercises are like “dogfighting in an ice jungle”. He went on: “This is a tremendous opportunity to really test our skills. “Working alongside the US submarines is great for us. The drill will test the three vessels in a variety of different areas including the use of sonar technology and will involve simulated attacks. The commander of the Undersea Warfighting Development Centre, Rear Admiral James Pitts, explained the US conducts drills in the area every couple of years but stated that the inclusion of Britain comes at a time there is a “great power competition”. He continued: “We are well aware that we are in a great power competition environment and the Arctic is one piece of that. It is believed this is the first time Britain has joined the US in the region for ten years. UK Defence Secretary Gavin Williamson explained the minus 40 degree Celsius temperatures in which the operation is taking place marks “one of the harshest environments on Earth”. The emergence of drills come during a time of frighteningly cold relations between the UK and Russia. Following Theresa May’s decision to expel 23 Russian diplomats from the UK, Russia claimed the Salisbury poisoning was just a desperate attempt to thwart the legitimacy of its upcoming election. Evgenny Primakov Jr, thought to be a close and trusted ally of Mr Putin, stated that Moscow is in “shock” following Mrs May’s response. He remarked: “The whole thing looks insane. “No one here believes this was a Russian attack. “We are absolutely sure, 100 per cent sure, that the whole thing is aimed at our elections.